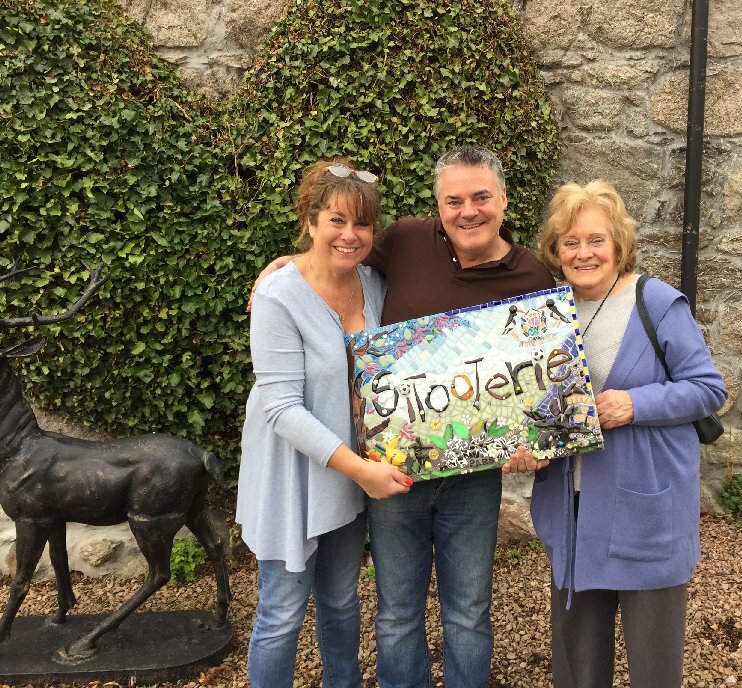 SO PLEASED TO HAVE A WEE FEATURE ABOUT MY "ART FOR THE HEART" PROJECT IN THE EVENING EXPRESS (OUR LOCAL PAPER) WHOOPY DOOPY DO.... WE HAVE PAID £360 AND TINKY WINKY THE COW IS NOW WITH THE OKWALE FAMILY IN KENYA New workshop dates will be listed in January So delighted that I have been invited to exhibit with ART ABOYNE in July 2019. Always delighted to show you round studio and garden. Please just phone to arrange a visit. 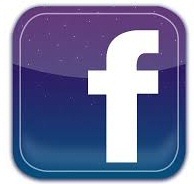 07724880125 Lots of Pretty Rubbish videos on You Tube. 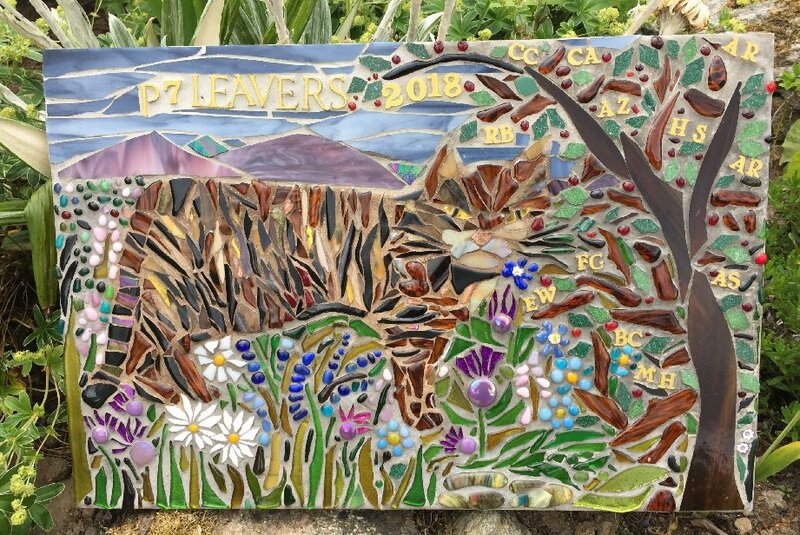 Type in "Pretty Rubbish Mosaics" Check out Pretty Rubbish Mosaics on Beechgrove Garden ...Pretty Rubbish vouchers available at studio to spend on a workshop,commission or gift. Pretty Rubbish has several pieces at the Butterworth Gallery Click Here! 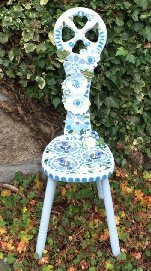 creating fun and quirky pieces for home and garden using recycled materials. My work was featured on the BBC's Beechgrove Garden in March 2016. 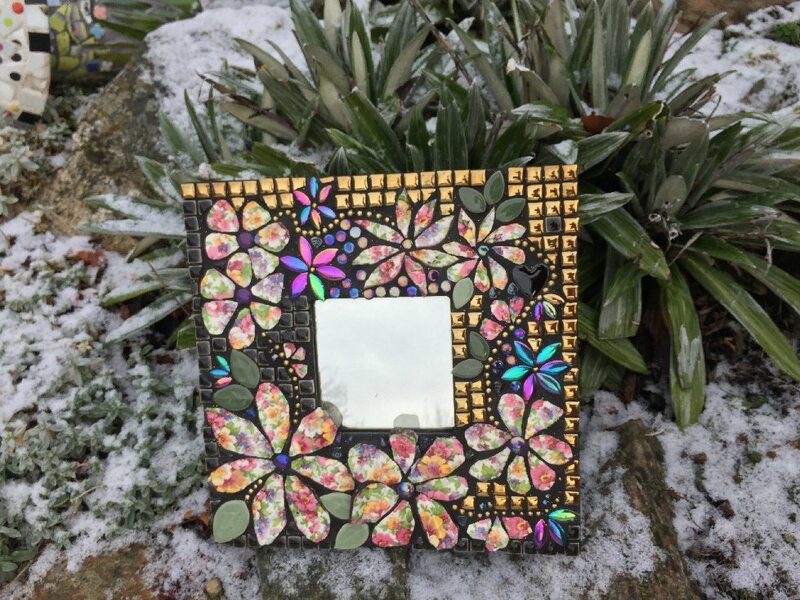 I want to inspire you to come to a Pretty Rubbish Mosaic Workshop where, by simply chopping up colourful pieces of broken ceramics, tiles and glass, you will have the opportunity to create a simple mosaic design of your choice for indoor or outdoor display. I will happily share my ideas, experience and enthusiasm with you. You do not have to be 'ARTY' and my mosaic workshops are good fun and relaxed as well as rewarding. You will be amazed at what you can achieve in a short time. Have a look at my workshop photos to see the amazing pieces others have created. Heart of Royal Deeside in the North East of Scotland. 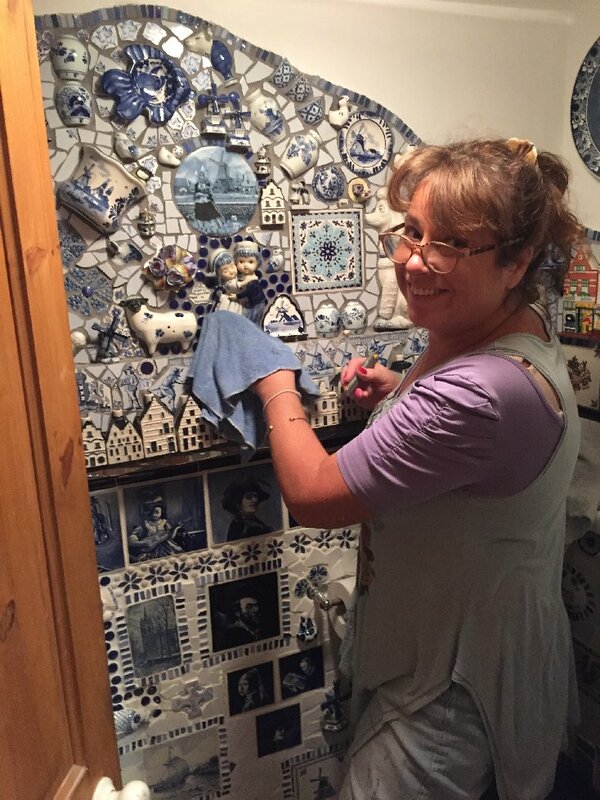 I offer many different types of mosaic courses and classes, including short mosaic workshops for children, and residential mosaic courses for adults where we will welcome you into our home over 1-3 days . I do mosaic commissions and gift vouchers . 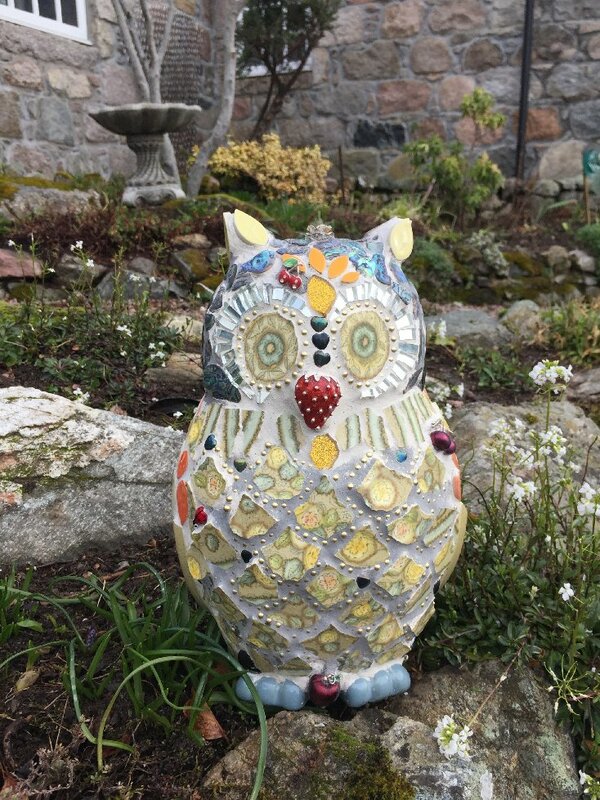 Carole Baxter - Beechgrove Garden"
"Beautiful Garden, Children loved it, Magical! We will be back to do some more making"
" Maggie is very generous with her knowledge and her enthusiasm is infectious..."
"Just never get tired of discovering this amazing garden." " Great 2 days. Loved every minute and am very proud of myself. Thank you Maggie"